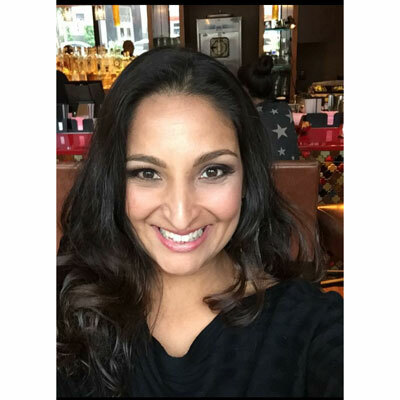 Priya brings 15 years of experience in alliance and channel management, business development and marketing communications. More importantly, she's an infectiously positive person who drives results. She was most recently recognized by executive and sales leadership by being named to Sales Club. Her background is almost exclusively built in the channel, at companies such as Mercury Interactive/HP and Informatica. Priya ensures partners are enabled both from a technical and sales perspective. She's active in recruiting new partners, promoting partner activity with her ForgeRock field sales reps and constantly putting together joint strategies to win deals and drive channel business growth. She actively manages channel partners such as Accenture, Deloitte, Simeio and Hub City Media. Partner influenced deals increased about 15% in 2017. Priya's primary goal is to continue raising partner-contributed business from 65% to 100% globally. To get there, she's building individualized, winning business plans with each partner by territory. She's also ensuring partners are well trained to identify customer pain points and articulate ForgeRock solution success to drive and close well qualified opportunities . Priya achieved Presidents Club for FY2017 for exceeding revenue goals as well as going above and beyond to be the best channel manager in the Identity and Access Management market. Amelia Earhart - the first female pilot to fly across the Atlantic Ocean. Her determination, courageousness and daring and taking chances that no woman had done before really opened up doors and made it easier for other women to achieve things only previously done by men...for this alone, I admire her. She was also active in volunteerism and was just a very open-hearted woman. When I look back to my mid-teen years, and having moved to the States from the Fiji Islands, I remember having a hard time adjusting to a new way of life and found myself being easily influenced into doing things that weren't really "me" as I was just trying to fit in. So, the advice I would give my 16 year old self would be, to really, honestly just be true to yourself. Don't let others influence your thoughts and actions. Creative delegation. In typical sales organizations, the direct team gets all of the resources - but to be most effective, channel leaders must convince the entire organization to think about partners in everything they do, from user conferences and regional marketing events, to operational improvements, to including partners in forecasting. The channel can play a role in "everything" so its important to stay creative in helping the rest of the team to include them - that's my goal. I recently re-read "Who moved my cheese." I first read this book in my 20s, but picked it up and read it again. The lessons I learned are even more relevant today as it relates to change - adapting to change, anticipating change, understanding that change happens, and even embracing change...this helps me continually be successful not only in my career but also in my personal life.